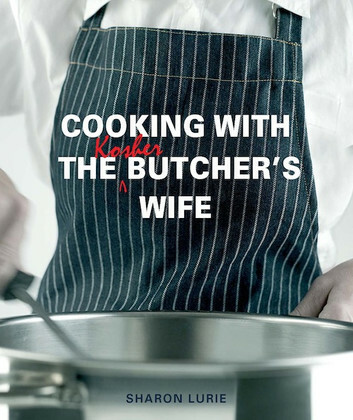 Written in a humorous, fun style, COOKING WITH THE KOSHER BUTCHER’S WIFE is like no other cookery book. It will keep eager meat lovers entertained as they try out Sharon Lurie’s delicious recipes. After 25 years of experimenting, creating and improvising, Sharon finally dispels the old myth that, because cooking with kosher meat means eating only from the forequarter, meals are limited to tough, dry and boring meat! She proves that kosher meat is of the highest grade and quality, and by means of notes and tips, and tried-and-tested recipes, helps the reader prepare mouthwatering beef dishes, as well as wonderful lamb, veal and poultry fare. Other recipes include marinades, soups, deli delights, side dishes, vegetables and unforgettable desserts. All the recipes in COOKING WITH THE KOSHER BUTCHER’S WIFE are also suitable for the lactose intolerant. With the many non-dairy substitutes available today, Sharon proves that non-dairy desserts can be just as delectable as their dairy counterparts.